WHOLESALE DIRECT TO THE PUBLIC,YOU PAY WHAT THE DEALERS PAY! HAND PICKED ONE OWNER VEHICLE,PERFECT CARFAX HISTORY REPORTS. NO GIMMICKS,JUST GREAT PRICES!! VISIT OUR WEBSITE AT WWW.ADCOXIMPORTS.COM FOR MORE PICTURES! 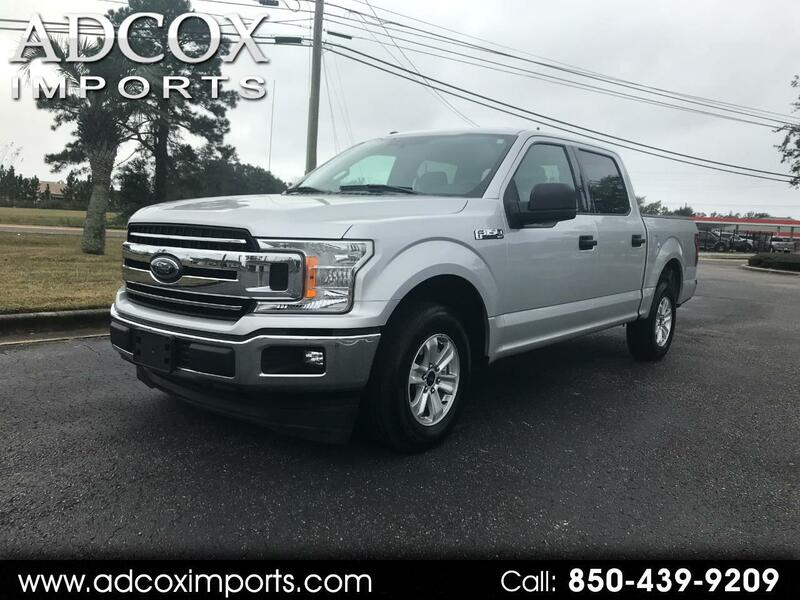 Adcox Imports is excited to offer this 2018 Ford F-150. Surprising quality accompanied by a high level of performance...this Silver on GREY Ford F-150 XLT could end up being the perfect match for you. This is the one. Just what you've been looking for. The Ford F-150 XLT will provide you with everything you have always wanted in a car -- Quality, Reliability,and Character. Beautiful color combination with Silver exterior over GREY interior, 5.0L Engine, Bedliner, Alloy Wheels,Back-Up Camera making this the one to own!